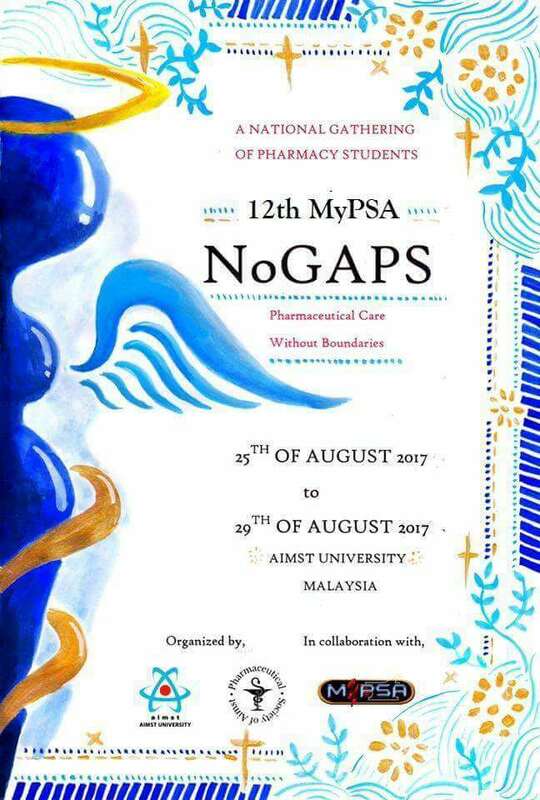 It is our pleasure to invite your university to the 12th MyPSA National Gathering of Pharmacy Students (NoGAPS) 2017. This is an annual event of MyPSA which aims to provide a platform for the pharmacy students from different universities around Malaysia to strengthen the bond between them as well as gaining knowledge. This event enables them to enhance their knowledge and skills together through various workshops and symposium. Additionally, this event also serves to foster the pride of future pharmacist among pharmacy students. We are welcoming 50 international students from all over the world to join us! DO not miss this grand event! Registration starts effectively on 12th May 2017, 12.00 a.m. (GMT+8.00). To get a more in depth overview of this event, here is a link on our event promotional video, have a sneak peak on our most excited national event! Subscribe to our official event Facebook page (https://www.facebook.com/NoGAPS2017/?fref=ts) to keep updated. The information kit and details about the activities will be sent after the registration is done. If you have any inquiries, please do not hesitate to contact us via mypsa.nogaps17@gmail.com . Please help to spread the news to all pharmacy students in your association/university and encourage their participation. Your help is much appreciated. Thank you and have a nice day! We are hoping to see you soon!! !